Replicating the classic ‘Cash, Tennessee Three, Carter Family and Carl Perkins' line up, Get Rhythm recently gained a lot of media coverage whilst touring a number of Irelands prisons, most notably playing multiple shows in Dublin's Mountjoy and Wheatfield prisons. The idea for the prison concerts is based on Johnny Cash's fondness for playing penitentiaries in the US. In 1968, ‘the Man in Black', who cultivated a bad-boy image for himself, enhanced that reputation with a concert in Folsom State Prison - an institution that was the subject of one of his most famous and successful songs, Folsom Prison Blues. 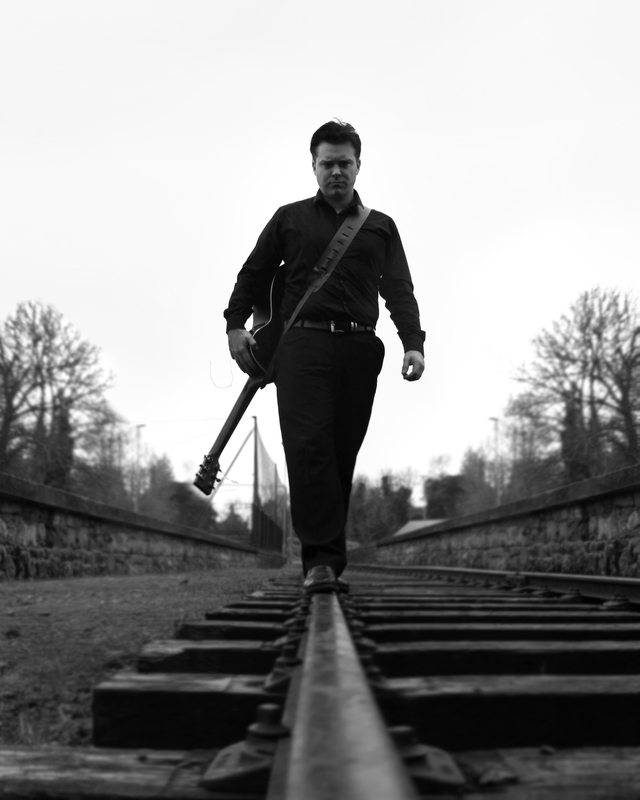 Paul McCann, and his eight-piece band re-creates the role and music of Johnny Cash, and the June Carter vocal duties are performed by Louise O'Reilly. Following the prison tour, the band are touring nationwide, playing songs from throughout Cash's career. "Johnny Cash's music has always been a huge inspiration to me, as I grew up listening to his music at home. Performing this show is the most exciting experience of my life", says Paul. The musicians, who have been performing together in various line-ups for fifteen years, are dedicated to staying true to the spirit of the performances of which they are recreating. The show has successfully played at many venues and stages, including the Trailer Park at Electric Picnic.